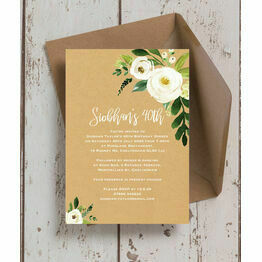 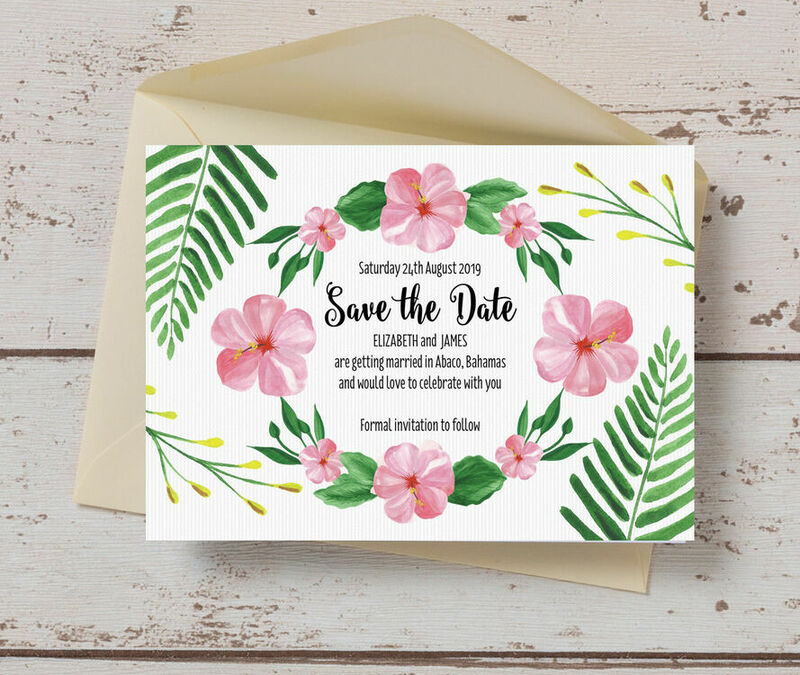 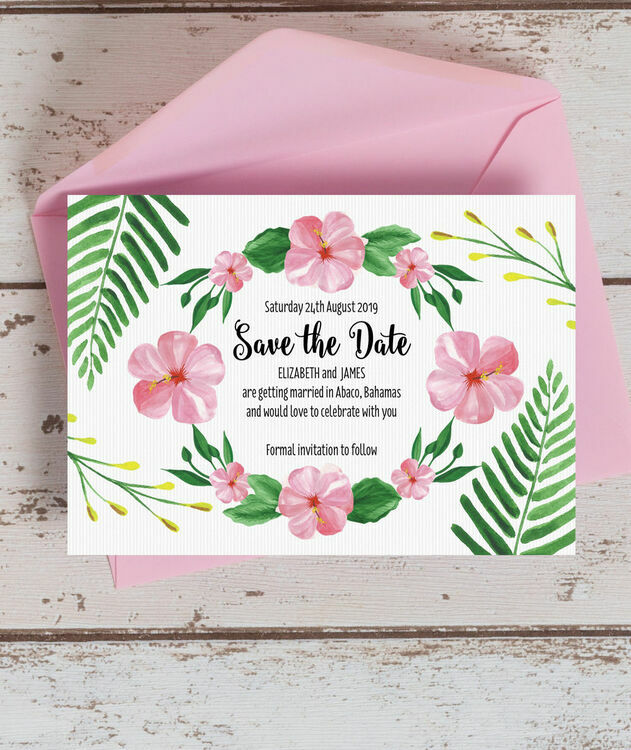 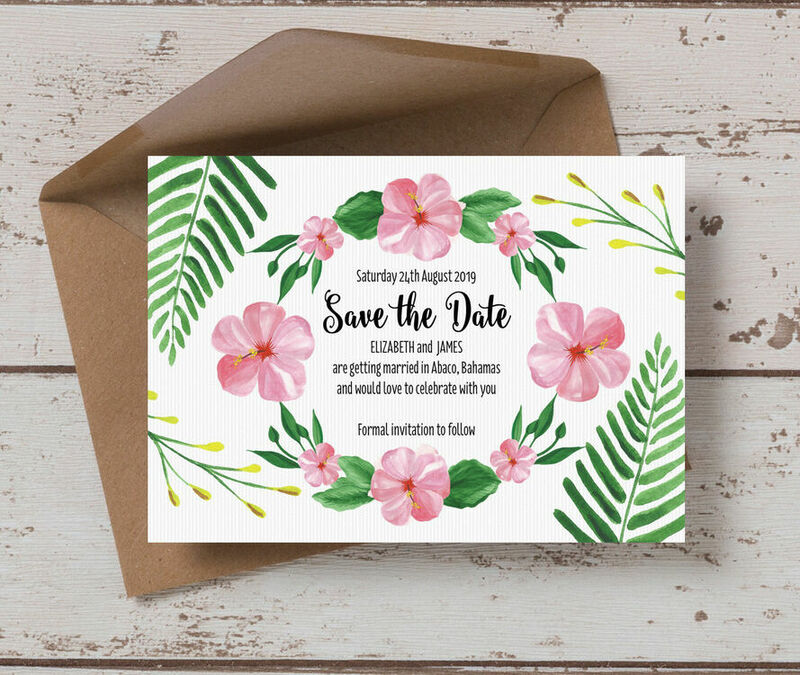 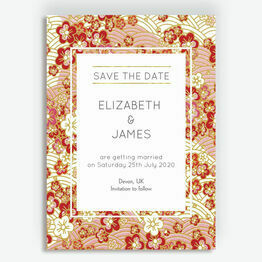 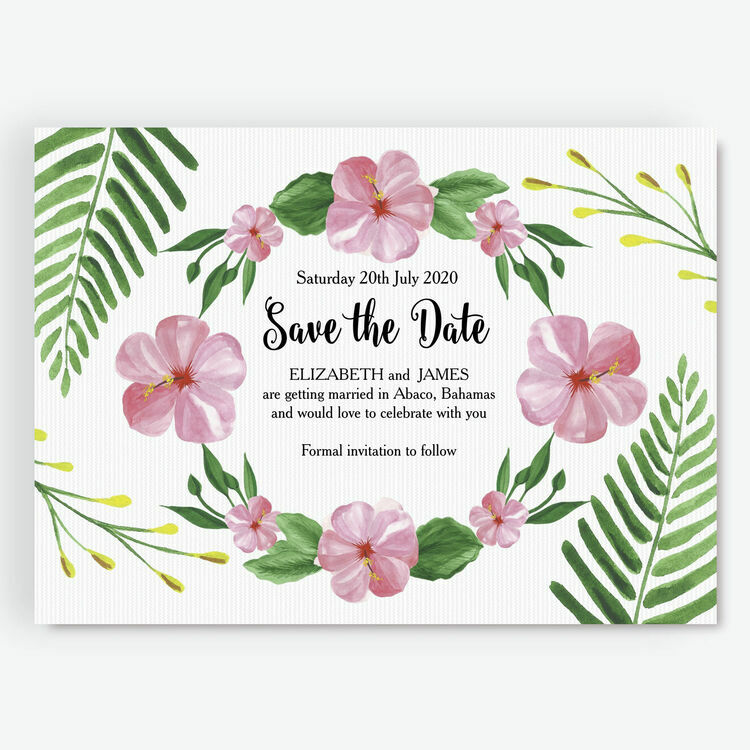 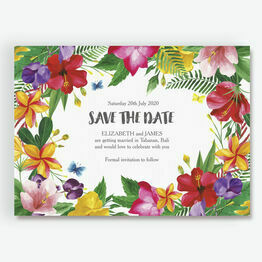 With hand painted pink hibiscus and striking palm fronds arranged in a wreath, this tropical save the date design is perfect for your exotic desintation or beach wedding. 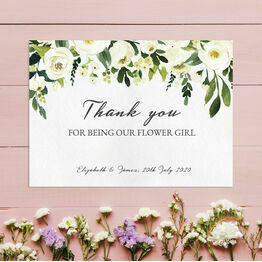 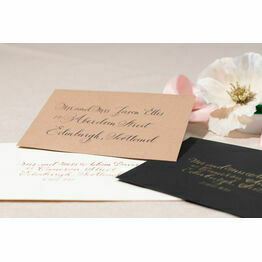 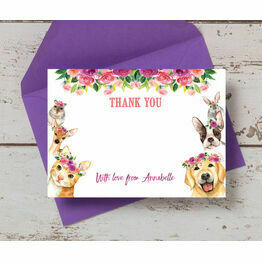 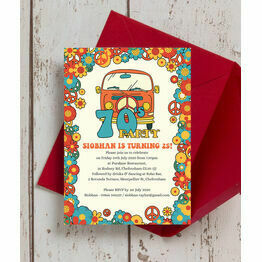 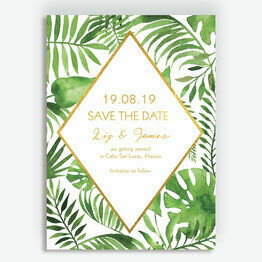 You can customise this template for weddings in Hawaii, Bali, Mexico, Florida, the Carribean and the Bahamas to name a few. 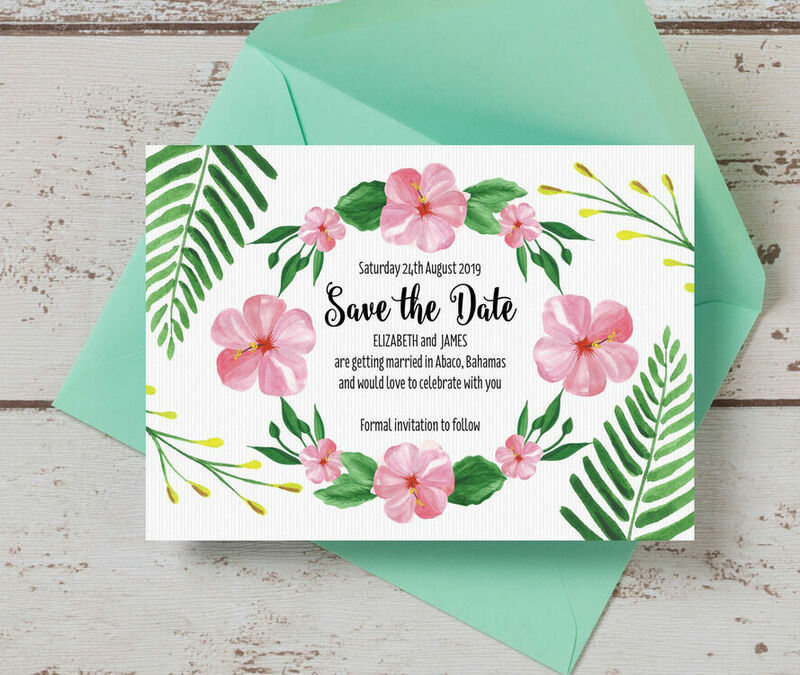 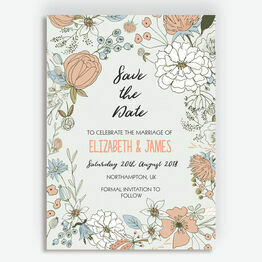 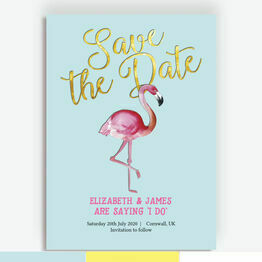 Our beautiful 'Tropical Flower' Save the date gives you an elegant and sophisticated way to announce your wedding date and ask guests to mark the occasion in their diaries.